A native of Portland, Oregon, Beverly Dahlen has lived in San Francisco for many years. Her first book, Out of the Third, was published by Momo’s Press in 1974. 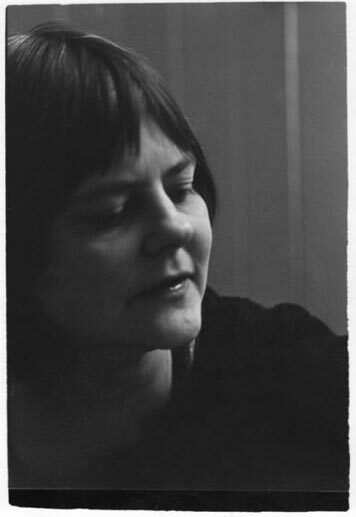 Two chapbooks, A Letter at Easter (Effie’s Press, 1976) and The Egyptian Poems (Hipparchia Press, 1983) were followed by the publication of the first volume of A Reading in 1985 (A Reading 1—7, Momo’s Press). Since then, three more volumes of A Reading have appeared. Chax Press published A Reading 8—10 (1992); Potes and Poets Press: A Reading 11—17 (1989); Instance Press: A Reading 18—20 (2006). Chax Press also published the chapbook A-reading Spicer & Eighteen Sonnets in 2004. Ms. Dahlen has also published work in numerous periodicals and anthologies. A forthcoming issue of Crayon will publish poetry and her essay on beauty.